A year ago, it struck me that a whole bunch of innovative activities, yet weakly coordinated, were planned or already going on in Kenya. Big investments were being designed to reduce poverty. This included some of the world’s biggest foundations as well as multi-lateral and bilateral donors that were working closely with the Government. Taken together, it was plausible that a lack of shared vision and a disparate effort at coordination and learning was likely to undermine the full potential for impact among those suffering from the deepest forms of poverty. Indeed, only limited and very small-scale pilots are currently focused on the ultra-poor. Each of these dimensions has helped to shape my thinking on how developing a graduation system could best be approached in Kenya, beginning with a two-day workshop in Nairobi bringing together a variety of stakeholders to explore what achieving graduation from poverty at scale in Kenya could look like. The next few years really count, and not just for those that are ultra-poor. 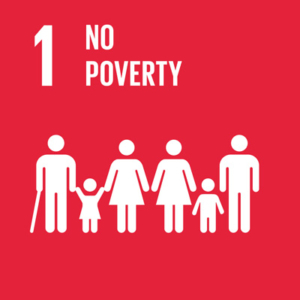 The Government of Kenya requires an acceleration of efforts if it is to reach its Vision 2030 goal for poverty reduction. President Kenyatta is committed to deliver food security across Kenya for all its citizens, one of the Government’s ‘Big Four’. However, policy reports (e.g. Shepherd et al 2018 from ODI) illustrate how the situation for the poorest Kenyans is barely shifting even if ten million ‘less poor’ Kenyans have lifted themselves above the 1.9 USD per day threshold (i.e. out of ‘extreme poverty’) between 2007 and 2017. A recent blog on Graduation from Poverty at Scale in Kenya outlined my excitement at an opportunity to spur greater collaboration that might influence these major programme investments in the real world. This blog picks up the story over the past month (Oct-Nov). The ‘Achieving Graduation from Poverty at Scale in Kenya’ workshop benefitted from a political chapeau provided by various high-level speakers: the Principal Secretary for the Ministry of Labour and Social Protection, DFID’s Head of Office, Head of Cooperation at the EU and USAID’s Director of their Resilience Centre from Washington DC and the Governor of Samburu County. The issue that emerged most clearly for everyone was the realisation that very poor Kenyans were being left behind despite lots of efforts to reduce poverty in Kenya. I was struck by how deeply the issue struck home, notably with Government. The Principal Secretary for Devolution and the Arid and Semi-Arid Lands outlined how he had been booked to fly to Mombasa but had instructed his staff to delay his flight to attend the workshop. And the Chief Economist in the National Treasury, representing the Principal Secretary, outlined his commitment to the process, and has already confirmed his attendance at a follow up meeting in December. How the global evidence base demonstrates that dedicated efforts to help the poorest out of deep poverty have been effective the world over, though the return on investment has varied. Working collectively to articulate what we meant by ‘graduation from poverty’ in Kenya’s context; though we recognised we have more work to do in this area. Broadening understanding of the growing interest in the area including with new funding possibilities from groups like Wellspring Philanthropic Fund and DFID in the midst of designing a new development impact bond focused on reducing poverty for those that are extremely poor. One ingredient that I’ve learned is important in these situations is to improve the understanding of the situation in a manner that is shared by a range of people from many organisations, not simply for separate organisations or individual people to become experts. This is how change can begin to happen, through building shared understanding among people both of the challenges but also the opportunities. Creating goodwill helps too! Despite extremely busy professional lives and the prospect of a collaboration resulting in a greater number of meetings, leading individuals in Government and development partners embraced warmly the idea of pursing an active agenda to work together in the months ahead. Further discussions are planned in December, and practical studies are planned to build a common understanding of what is meant by targeting the very poorest in Kenya, and to map relevant aspects of the landscape to build entry points for common action across the system. If in a few years the Government of Kenya and development partner recognise an ‘ultra-poor’ category of Kenyans, build a system to measure the progress of these people, and future investment efforts are better tailored to meet their needs, I’ll consider the effort more than worthwhile. I think it is fair to say that other countries could ask the same two questions: “Are we leaving behind the poorest? And could we do better to help them lift themselves steadily out of poverty?” There is much work to be done….